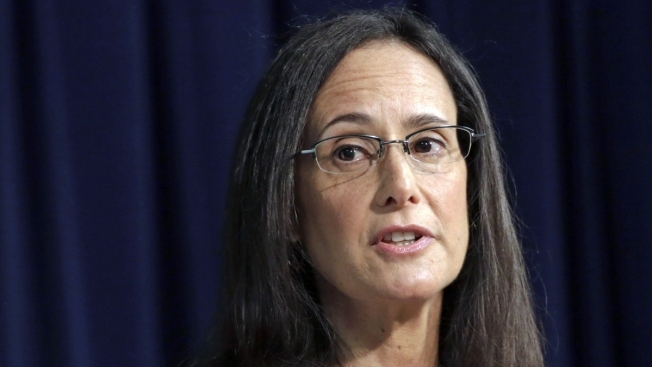 Illinois Attorney General Lisa Madigan on Thursday filed a motion in state court seeking to stop state worker pay until legislators and Gov. Bruce Rauner approve a spending plan. The motion filed in St. Clair County Circuit Court seeks to dissolve a preliminary injunction that allowed state workers to be paid during the budget impasse. "The people ask that this court terminate the injunction as of February 28, 2017, giving the General Assembly and the Governor additional time to enact appropriations legislation before the injunction is dissolved," Madigan wrote in the filing. When the impasse began, state worker unions sued to ensure that they would continue being paid, arguing that cutting off their pay would be an unconstitutional violation of their contracts. A St. Clair County judge ordered the state comptroller's office to continue issuing paychecks. American Federation of State, County and Municipal Employees Council 31 spokesman Anders Lindall said the union was "shocked and extremely disappointed" Madigan is taking the action. Madigan noted Illinois continues to operate without a budget to fund many services provided by vendors and grantees, adding they are bearing the brunt of "this egregious and untenable budget impasse." Republicans are denouncing Madigan's action, saying she is putting House Speaker Michael Madigan's "power politics" ahead of hard-working families. Party spokesman Steven Yaffe noted state Senate leaders are trying to come up with a bipartisan spending plan. Senators failed to vote Thursday on a compromise to end a historic budget deadlock. The plan by Democratic Senate President John Cullerton and Republican leader Christine Radogno would have raised the income tax and create a service tax to beat down the deficit; included cost-saving measures to the workers' compensation program and a property-tax freeze sought by Rauner; pension- and school-funding overhauls; expanded casino gambling and more. "Only a Madigan would try to disrupt bipartisan momentum in a matter that threatens to cripple government services and hurt state workers and their families," Yaffe said in a statement. "Comptroller Mendoza and every Democrat in the state who claims to be independent of the 'Madigan Machine' should immediately denounce these tactics and stand on the side of state employees and those who depend on them." Illinois Comptroller Susana Mendoza is blaming Rauner for the budget impasse. She said state workers wouldn't face a threat of no pay if he had proposed a balanced budget in 2015 or 2016.